Landaa Giraavaru has the whitest sand and bluest waters -- it is as close as you will get to paradise on earth. Take a sea plane from Malé or sister property Four Seasons Kuda Huraa if you are splitting your visit between the two resorts. Everything about the resort is subtly, comfortingly grand. With high ceilings, private cabanas and personalised treatments: this is living, lazing space. Travel around the island on a bike with initialled plates or call for a golf buggy. The spa is at the centre of the island and is very much the heart of the resort. All of the staff speak of the spa with warmth and excitement as you mention which treatment you will be having during your stay. The spa is split into two parts with the reception in the centre. Western treatments are carried out in over-water treatment rooms next to the hair studio and manicure and pedicure suite. The other side of the reception is a walkway lined with a Tibetan prayer flag that leads to the Ayurvedic consultation room and spa garden. The garden grows plants and herbs that are used in the treatments. The eastern treatments take place in wooden huts around the garden where you can hear the birds chirping during your treatment. On arrival we had a consultation with an Ayurvedic doctor. We filled in a form to determine our doshas but, without looking at it, the doctor took my pulse, closed his eyes and very specifically told me who I was in Ayurvedic terms and what health concerns I had. After half an hour, I knew which treatments I was going to have throughout my stay; I should also swim, walk and do yoga as much as possible (with pleasure). He also advised me on my diet, fluid intake and general wellness. I felt like I had been given a massive hug! Yoga is practiced around the resort with one of the resident yogis; morning aqua yoga is in the salt water swimming pool, anti-gravity yoga (traditional yoga poses done hanging from a silk) is done in the pavilion by the spa, and you can even do a yoga energy trail around the island with a Tree Pose over the lagoon. The Ayurvedic treatments here are authentic: therapists use raw oils and powders, singing bowls, Tibetan symbols and chants. My first treatment was Elakkizhi (120 minutes, $330): two hours of herbal poultice heaven. Beginning with a grounding foot ritual, two therapists worked simultaneously to deliver an elegant full body massage with warm herbal bags. Once my body was relaxed and warm, I finished with a ten minute private steam. Our second treatment was the Omkara Ritual for Couples, (180 minutes, $785). We each had one male therapist and one female therapist who worked together to balance our Yin (female) and Yang (male) energy. The treatment is all about reconnecting as a couple as well as rebalancing yourself. 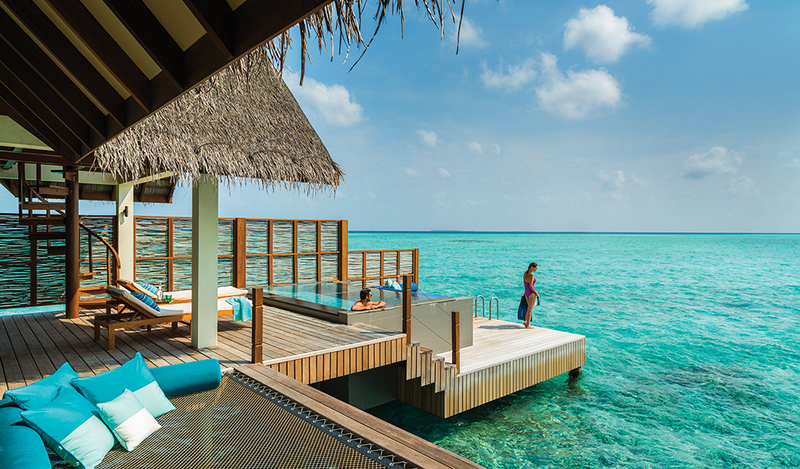 It includes everything: foot ritual, massage, facial massage, frangipani and hibiscus flower bath and private steam. The treatment ends with the therapist chanting and tying a red bracelet around your right wrist for you to wear until it falls off. It was a truly unforgettable experience. 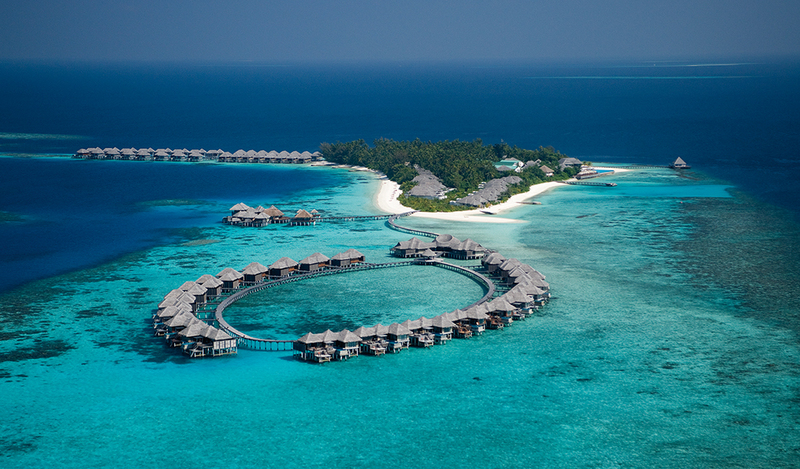 Four Seasons Landaa Giraavaru has four restaurants with influences from around the globe. The over-water Al Barakat serves traditional Arabic food, Blu is an Italian gourmet’s delight, Fuego Grill offers fresh fish and prime cut meats from an open kitchen, and Café Landaa is more informal with Asian and regional specialities. All of the menus at Landaa have the dosha symbols so you continue to balance yourself away from the spa. • Those seeking wellness: the spa team have such expertise in Ayurveda and yoga: after just two days we left feeling brand new. 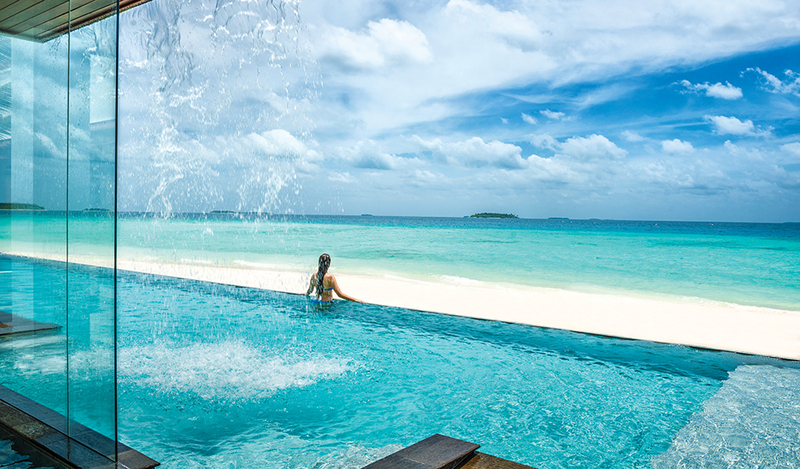 • Couples looking to reconnect: the Omkara treatment was incredibly special and worth visiting the Maldives for alone. 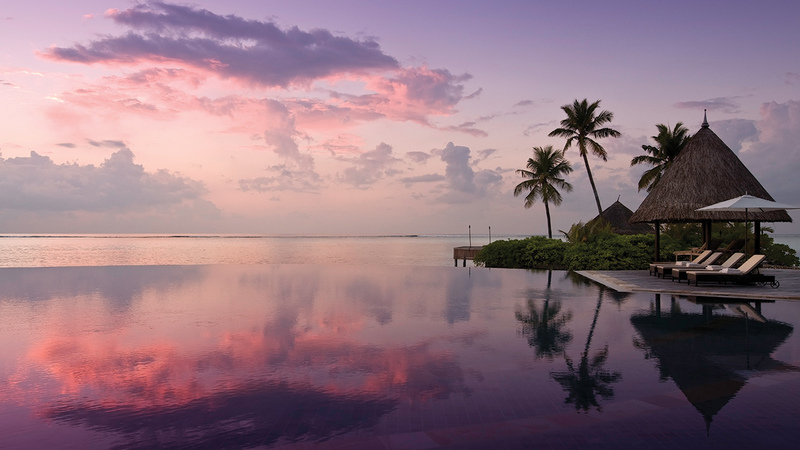 • Well-travelled spa lovers: Landaa takes spa to a new level and there is a treatment on the menu for everyone. Ila treatments feature in the Western menu or choose a more holistic option of acupuncture performed by the onsite Chinese doctor. • The manta on call service: you’ll be given a mobile phone when you check in which will ring when manta rays are spotted near the resort. Once you get the call, swiftly make your way to the main jetty where you will be taken to see these beautiful creatures. Have you ever heard of anything more civilised? Good Spa Guide travelled with Visit Maldives – find out more about the islands at: www.visitmaldives.com.